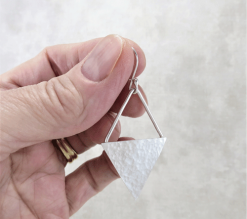 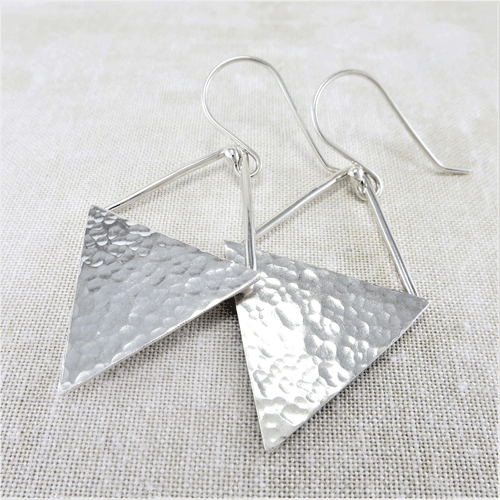 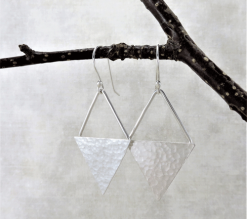 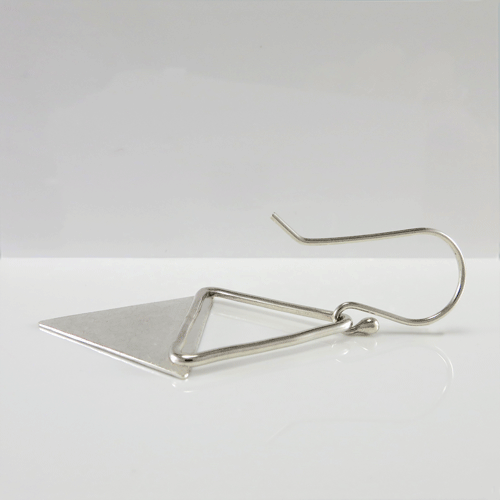 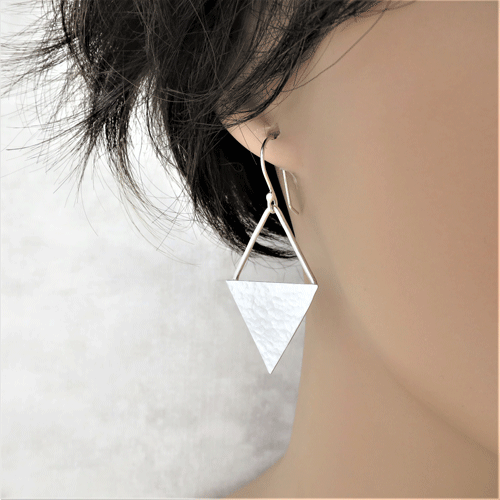 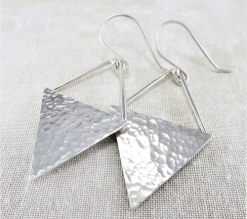 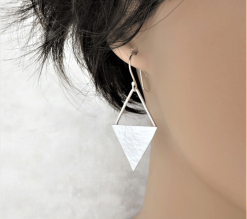 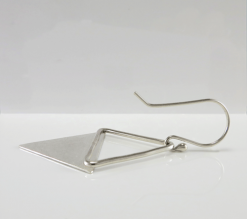 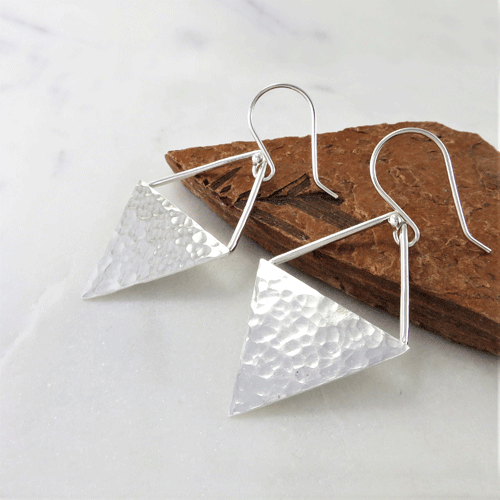 These hammered sterling silver triangle earrings are a fabulous exercise in positive and negative space. 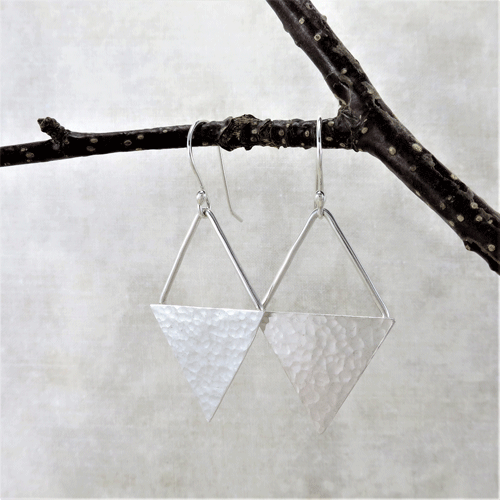 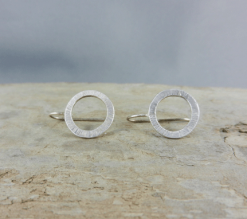 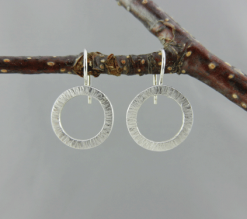 Minimalist geometric earrings that are highly reflective, they are lightweight, and make a bit of a statement. 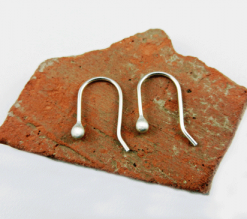 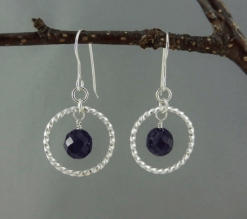 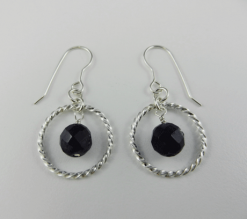 Their nickel-free argentium silver ear wires are such a dream to wear, and oh so comfortable on the ears. 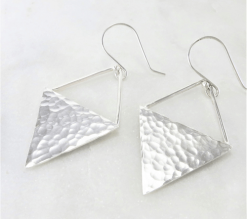 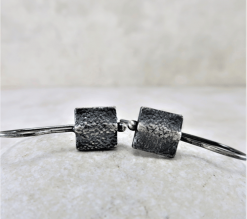 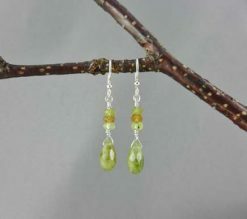 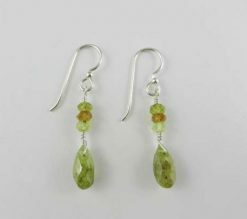 Silver dangles which sparkle with a brightness all of their own, they create a uniquely sleek and eye catching look! 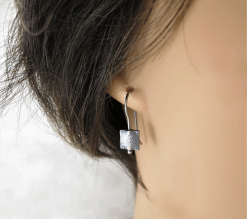 Hypoallergenic rubber earrings backs and a Pro-Polish square are included as thank you gifts. 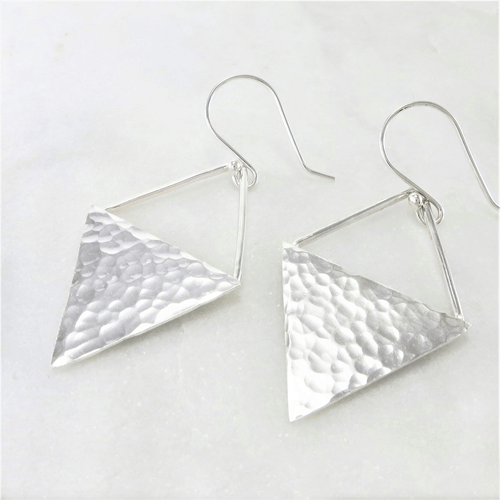 Your new earrings will ship in 1 – 3 days. 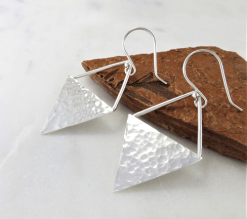 They will arrive beautifully packaged and ready for gifting. 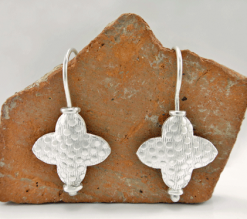 Handmade above beautiful Skaha Lake, in the heart of the Okanagan.